Mix sauce ingredients in a small bowl: Tamari, sugar, ginger, & 1 clove minced garlic. 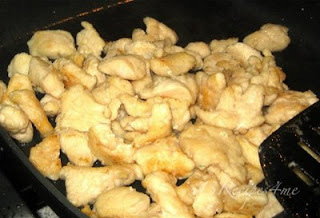 Remove chicken from pan and set aside. 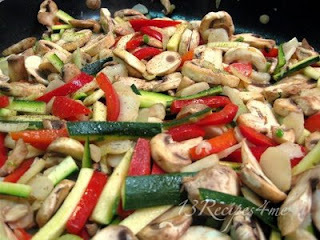 Add butter to skillet, add remaining garlic and vegetables. Stir-fry until crisp tender. 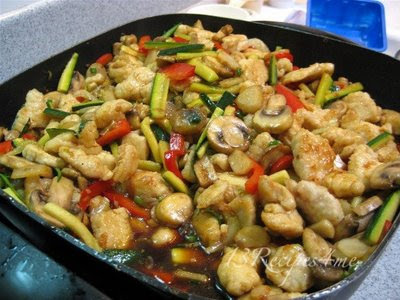 Remove vegetables (you can add them to the dish of chicken.) Pour sauce into pan and heat. Place chicken & vegetables into the sauce, stirring to coat all. If desired, 2 tsp. of cornstarch mixed into 1 TBS water can be added to thicken sauce. Serve over steamed rice. YUM! Look at those gorgeous veggies! Don't have that kind of soy sauce 'round these parts--is that important? Only if you have Celiac Disease.